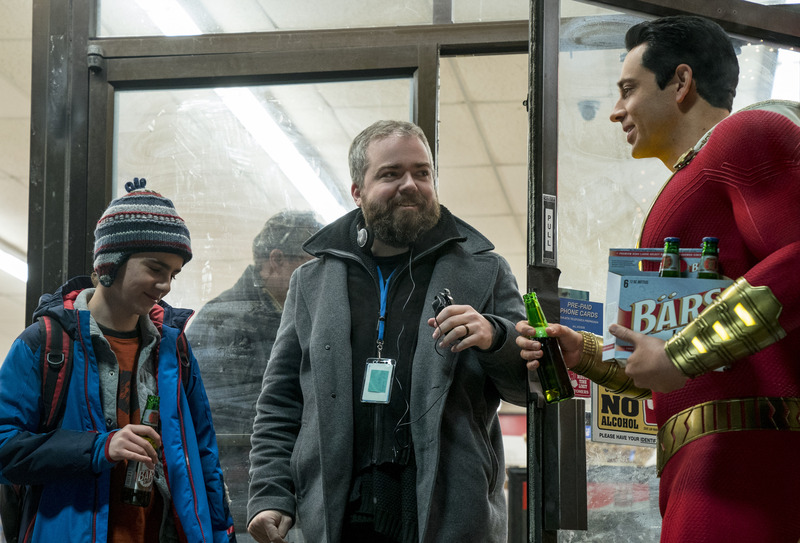 Director David F. Sandberg talks the film's two post-credits scenes, including one that hints at a possible sequel to-be. It’s difficult to imagine another DC Extended Universe film that ends on quite as happy a note as David F. Sandberg’s “Shazam!,” which closes out a joyous (and occasionally scary) superhero film with a massive battle that sets the stage for plenty of films to come. For now, however, Sandberg is focused on his first superhero film and everything contained within it. Still, as with many of its superhero movie brethren, “Shazam!” features some post-credits scenes that nod to a wider universe, one in which Shazam will likely remain a major part of the evolving DCEU. The filmmaker spoke with IndieWire about those after-credit treats and what they mean in the context of his film and beyond. “Shazam!” includes just two post-credits scenes, one that hints at a sequel possibility (though, even Sandberg is hedging his bets on that one) and one that almost didn’t make it into the final cut. Here’s what they are and how they tie back to the rest of the DCEU. 'Shazam' Does Its Magic as 'Dumbo' Deflates — Will It Be 'Avengers' to the Rescue? Sandberg’s film ends on an understandably upbeat note: Billy (Asher Angel) has found his family and the Shazam! clan has been gifted with some major powers. 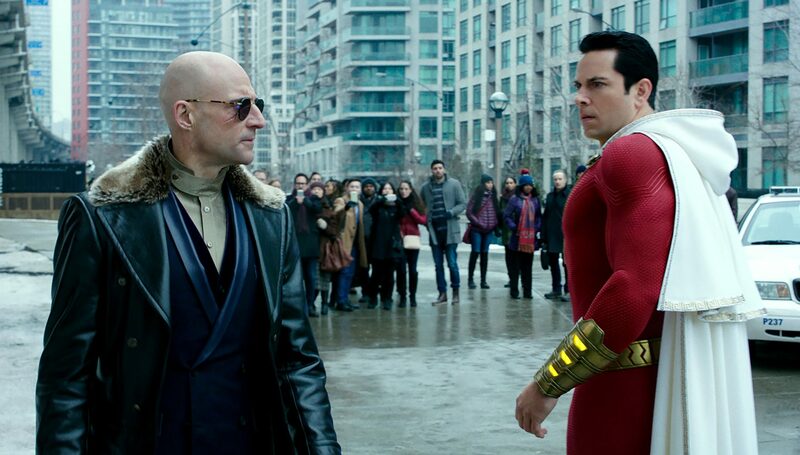 Even the director admits it’s his favorite part of the film, one that culminates in a Christmas carnival-set battle that sees Billy/Shazam and his new siblings sending the evil Dr. Sivana (Mark Strong) away for good. It also helps that the film’s central baddie has been locked up (likely for life), so it’s only fitting that that’s where the film’s two post-credits scenes start: with Strong’s obviously addled Dr. Sivana in a jail cell covered in magical symbols — chicken scratch that signals Sivana is still hellbent on capturing some of his old powers. This time, however, he might have a friend. As he accidentally snaps a tightly-clutched piece of chalk, the perpetually pissed off super villain screams in dismay, only to be greeted by a robotic voice telling Sivana that there are other ways to acquire magic. While fans of Shazam are likely expecting a reveal of a classic nemesis like Black Adam, the scene instead cuts to reveal Mister Mind, a tiny caterpillar with a voice box around his tiny caterpillar neck. Eagle-eyed viewers likely spotted the teensy bad guy earlier in the film, appearing in quick scenes in Shazam’s otherworldly wizard lair. Mister Mind seems happy to get in league with Sivana, promising him that soon the Seven Realms will belong to both of them. But who is this guy? While Shazam is most closely associated with Black Adam when it comes to his usual baddies, Mister Mind has long been a part of the superhero’s lore, appearing in early 1940’s comic books that featured the superhero (he even founded the Monster Society of Evil, he’s just that evil). In both a 2013 run of “Justice League” comic books and the newest run of “Shazam!” stories, Mister Mind has reaffirmed his long-running bond with Sivana, and the unlikely partners have continued their plans to take over the world. Disappointed, Shazam offers up a shruggy retort: “Well, that’s not that cool.” It’s just a small gag, but it speaks to the overall humor of the film. It almost didn’t make it into the final film, but Sandberg and his team knew that they wanted to have some sort of joke to close out the feature. Why not use a gag that didn’t make the original cut? “Shazam!” is currently in theaters.